Vidushi Shanti Hiranand’s music is equally reflective of her own philosophical quest and unbridled creativity. By her command over Sur (note), Soch (thought) and Rooh (Soul) she emphasizes the nuances of mood and feelings inherent in lyrics with rare ease and artistry. Born in Lucknow, the seat of Awadh Thumri and Ghazal, her love for music took roots early and soon became an all consuming passion for her. Her training began in childhood and she gave her first public performance in 1947 in Lahore. After the partition of India and Pakistan, her family moved back to Lucknow and her training in Khayal Gayaki resumed under Ustad Ahjaz Hussain Khan of Rampur Gharana. In 1952, Shanti Hiranand reached a turning point in her life when she finally met her Guru, guide and mentor in the reigning queen of Thumri and Ghazal, the legendary Begum Akhtar. Shanti Hiranand put in over 20 years of dedicated learning with her Guru, in true Guru-Shishya tradition, to master her mentor’s style. It is interesting how these two women from seemingly diverse backgrounds could come to such an exalted level of understanding between themselves, in times that were not exactly conducive to such social interactions. Begum Akhtar’s passing away in 1974 drove her to dedicate her entire efforts to excel in the art passed on to her by her Guru. 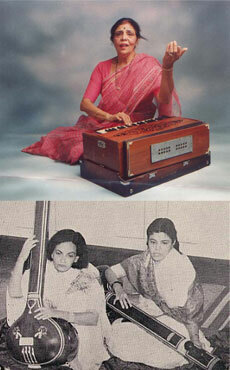 Through the years she has remained a very highly sought after performer of Thumri, Dadra and Ghazal. Her Gayaki is embellished with richly patterned Harkats and Murkis, typical of the Punjab-ang and Aakars of the Purab-ang of Thumri Gayaki. Shanti Hiranand has also acted in films. She played Siddhartha’s (Shashi Kapoor) mother in Conrad Rooks’ 1972 English movie Siddhartha. 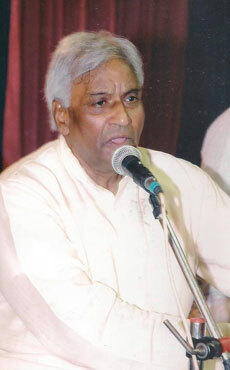 Pandit Surendra Goswami, Pooja’s father, was born in 1941 in Delhi and was exposed to music and theater while in his teen years, through the DCM (Delhi Cloth Mills) Theater. From a very young age he harbored great passion for the performing arts and started learning acting at the DCM Theater. Seeing his passion and talent, theater director Sri. Champalal Pawar and music director Sri. Yashwant Rai Prabhakar took him under their wings. Under their guidance Surendra Goswami learnt acting and singing for theatrical productions. 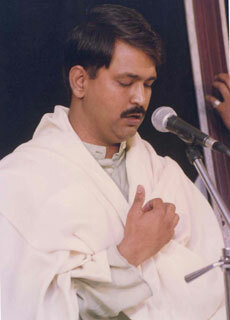 Alongside he trained in classical Khayal Gayaki with Ustad Nazar Mohammad of the Rampur Gharana. Later he came under the tutelage of the renowned Prof. B. N. Dutta of the Kirana Gharana and Pandit Gopal Misra of the Benares Gharana. Surendra Goswami also trained as a Sitarist for some years under the guidance of Pandit S. K. Dutt, a senior disciple of Baba Allauddin Khan. Over the years Pandit Surendra Goswami has established himself as a well known performer, composer and teacher in Delhi. His repertoire includes the classical vocal genres of Khayal and Tarana as well as several semi-classical forms such as Thumri, Dadra, Bhajan and Ghazal. He has trained dozens of students in Delhi and continues to have an active career in teaching and composing. He has performed extensively in India as well as in several Asian countries including Indonesia, Singapore and Malaysia. Dr. Shailendra Kumar Goswami, Pooja’s elder brother and musical Guru, is both, a talented Hindustani classical vocalist and an erudite musicologist. He has written four books on Hindustani music; the latest being a unique book on the little known compositions of Sadarang and Adarang, 18th century musicians in the court of Mohammed Shah Rangiley. Shailendra Goswami’s musical and intellectual background is steeped in the Khayal, the principal vocal genre of Hindustani music. He brings to his Khayal Gayaki a sense of seriousness and serenity that has an economy of movement that is as sublime as it is spare. His training in music was initiated by his father Sri. Surendra Goswami who is himself a renowned disciple of Sri. B.N. Dutta of the Kirana Gharana. Shailendra Goswami attained his formal education in music in the most prestigious institution in the capital, Delhi University, from where he completed his M.A, M.Phil. and Ph.D. in Hindustani Vocal Music. He is currently a Professor in the Department of Music and Fine Arts at Delhi University. Shailendra Goswami has also been trained in the Guru Shishya Parampara by the renowned exponent of Khayal Gayaki, Pandit Deepak Chatterjee of the Rampur Seheswan Gharana. A distinguishing feature of Shailendra Goswami’s singing is the skill and patience with which he delineates the Raga as he warms up for the rich, intense elaboration. He carries the listener along with him with his deep-toned voice and its intense emotional appeal. But what most characterizes Shailendra Goswami’s singing style is the extraordinary deliberation, seriousness, and the leisurely style with which he develops the notes. This thoughtful style is well suited for reflective Bhajnanad Shabad kind of singing that invoke deep meditative moods, quintessential to the Kirana Gharana. The tranquility of his style of singing has made Shailendra Goswami a noted performer among Hindustani classical musicians, as can be seen from his various performances in different parts of India: the Fourth Yuva Mahotasva, organized by the Sahitya Kala Parishad, Delhi, the Sabrang Sangeet Mahotsava Sirsa in Haryana, the Shastriya Sangeet Sammelan in Jalandhar, the Sankalp Festival in Ahemdabad, Guru Parva organized by the Sahitya Kala Parishad in Delhi, the Indraprastha Sangeet Samaroh organized by the Sahitya Kala Parishad etc. A review in the Indian Express has emphasized Shailendra’s “rich and deep toned voice and his sedate musical style” while the National Herald review emphasized “the vigor of his Taan” and “its exhilarating crispness.” The Hindu has emphasized the purity and “the maintenance of uniform sonority in all pitches.” Shailendra Goswami is currently a ‘B’ high-grade artist of the All India radio and T.V., Government of India. In 1999, Shailendra Goswami prepared a 6 part Devotional Music project for Doordarshan (National TV) which has been widely appreciated. He is currently an Associate Professor of Music in Delhi University, India, teaching, researching and supervising Ph.D. students in Hindustani vocal music. He is also receiving advanced training in Khayal Gayaki from the renowned Maestro Pandit Rajan Mishra of the Benares Gharana.